Whenever a new flagship smartphone is announced, there are always underground companies who are quick to create a very close replica of the original phone with even a very similar UI. Some clone phones are so good that you will easily mistake them for the original. This companies have now gone from creating replicas of newly released phones to creating replicas of yet to be released smartphones. The Samsung Galaxy Note 9 is still a couple of week away from its official launch which will take place early next month, but the clone kings have already managed to manufacture and even release the clone version of the phablet. 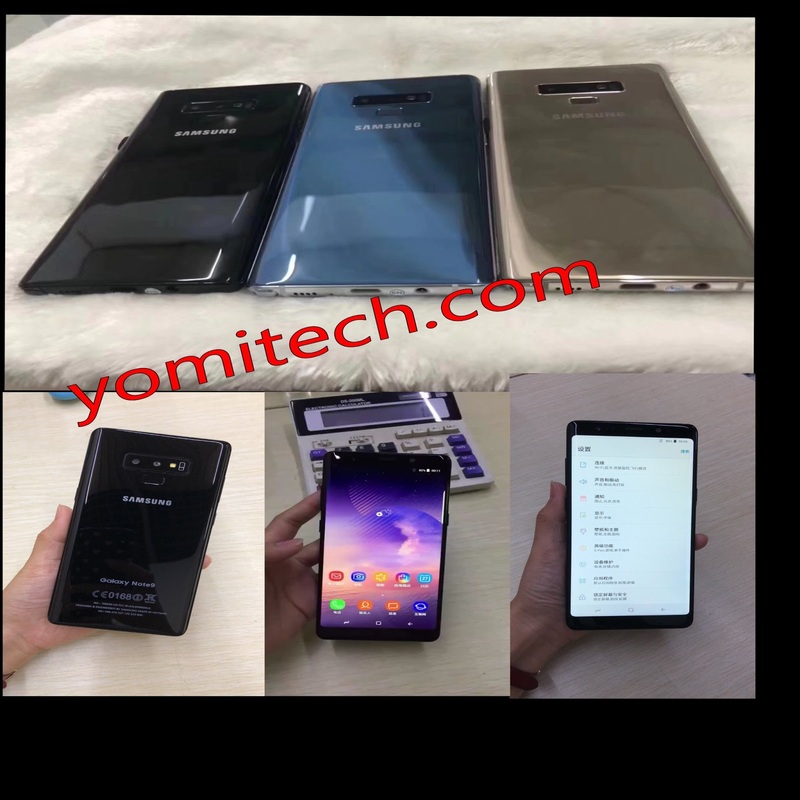 The clone Galaxy note 9 images released online shows something very similar to renders and leaked images of the original phone but the low build quality is pretty obvious even for a layman. The clone Note 9 were pictured in the 3 official colours and it runs a custom Andoid OS tweaked to look very much like Samsung's TouchWiz. The top and bottom of the device is however way thicker than what someone would expect from a 2018 Samsung Note device, and the Edge design curve is also less pronounced. Of course, this is just a clone version of the real thing and it's not targeted at the real Samsung fans but those who can't afford the original device but needs something close. The real Samsung Galaxy Note 9 will however be officially announced on August 9 2018 which is just a couple of weeks away.